Welcome to 2019. Your CAMA Manitoba board has been working hard during these past few winter months to put together some petty spectacular events for you. Our fast approaching Lunch n’ Learn , “Sports Marketing – An all-star tactic for an agri-food marketer?,” on February 7 hosted by the Winnipeg Blue Bombers, is going to be an action-packed, overtime, edge of your seat kind of event. Hear from some of Manitoba's professional and amateur sports organizations on how agri-food marketers are including sports marketing to their communications plans. Whether it's athlete sponsorship, advertising and signage or event sponsorship, find out how sports marketing can effectively and emotionally target farmers and rural and urban consumers. Register here or see below for full details. We’ve got our feature professional development event planned for the 2019/20 season titled “ Marketing with Technology,” our half-day event on March 28 , hosted by Farmers Edge. The lineup of presenters will cover topics such as the use of technology and big data to optimize the customer journey, the use of augmented reality in agri-marketing, among others. If your role is to lead your organization or lead your clients, this is a must attend event. Register here . Sponsorship opportunities are available. And as always, a big personal thank you goes out to our Board. To learn more about these incredible agri-food leaders, go to our website . Watch you inbox for event information. 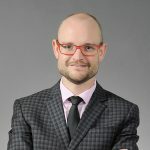 CAMA MB LUNCH & LEARN "SPORTS MARKETING"
Hear from some of Manitoba's professional and amateur sports organizations on how agri-food marketers are including sports marketing to their communications plans. Whether it's athlete sponsorship, advertising and signage or event sponsorship, find out how sports marketing can effectively and emotionally target farmers and rural and urban consumers. 12:30PM Panel discussion on Sports Marketing - An all-star tactic for the agri-food marketer? We have our feature professional development event planned for the 2019/20 season titled “ Marketing with Technology,” our half-day event on March 28 , hosted by Farmers Edge. The lineup of presenters will cover topics such as the use of technology and big data to optimize the customer journey, the use of augmented reality in agri-marketing, among others. If your role is to lead your organization or lead your clients, this is a must attend event. Register here . Sponsorship opportunities are available. 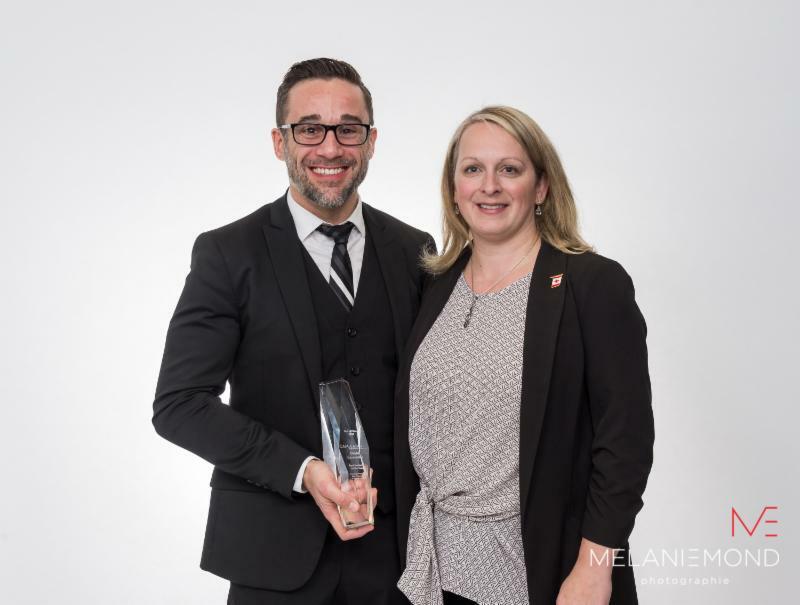 Congratulations to David Lazarenko , Think Shift, for receiving the prestigious Agri-Marketer of the Year award at Best of CAMA 2018. Click here for an overview of David's achievements and contributions to Canadian ag marketing. Photo (L-R): David Lazarenko and Denise Hockaday, Cimate FieldView, sponsor of the award. 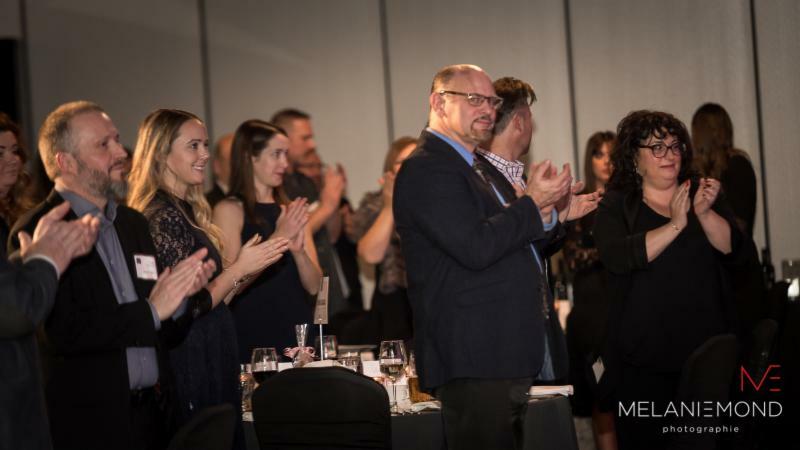 Annually at Best of CAMA, each provincial chapter presents an Honour Roll Award to a recipient who has significantly impacted their provincial chapter. 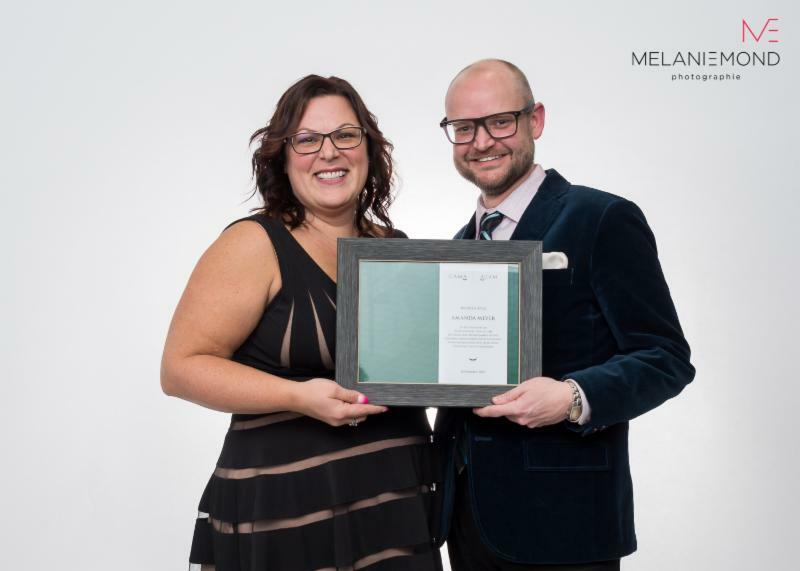 This year, CAMA Alberta was proud to award Amanda Meyer with the CAMA Manitoba Honour Roll. 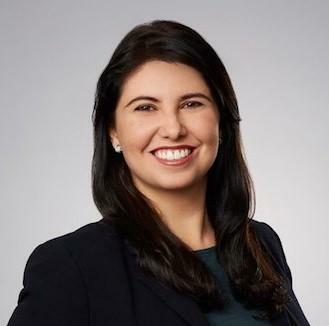 Amanda dedicated countless hours to helping CAMA Manitoba grow. Thank you Amanda for your dedication to the Chapter! "I joined CAMA in March 2017. Being a member of CAMA provides me with a great opportunity to network with the local and national agri-marketing community and also keeps me informed about what’s happening in our industry. 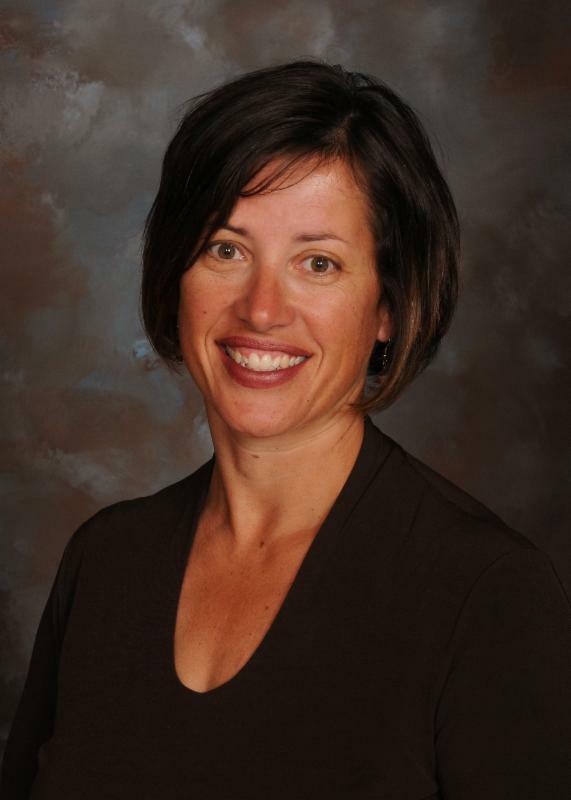 Since the very first Lunch & Learn that I participated I’ve noticed how engaging and supporting CAMA members are, and what an outstanding service the chapter provides in terms of learning, member connectivity and advocacy in agriculture." 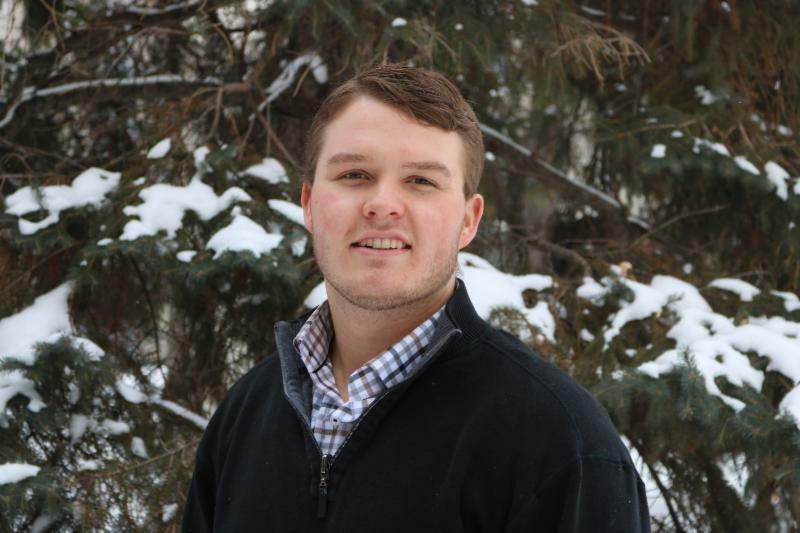 "I joined the CAMA Manitoba Board of Directors to learn more about the Agri-Marketing side of the industry. I hope to get agriculture students at the University of Manitoba more involved with CAMA and its members. My position is the perfect way to get students engaged with CAMA members and increase the value of being a part of CAMA." The CAMA MB annual general meeting was held on December 13, 2018. Click here to view the AGM meeting minutes. Please log on to the CAMA.org website, and update your profile! This online profile is a great way to connect with other CAMA members. CAMA is committed to increasing their social presence on Twitter and LinkedIn. Congratulations to all of the Best of CAMA 2018 winners! To view a complete list of winners, please click here. Click here to view the photos from this year's event! Use password CAMA2018-g to view gallery. 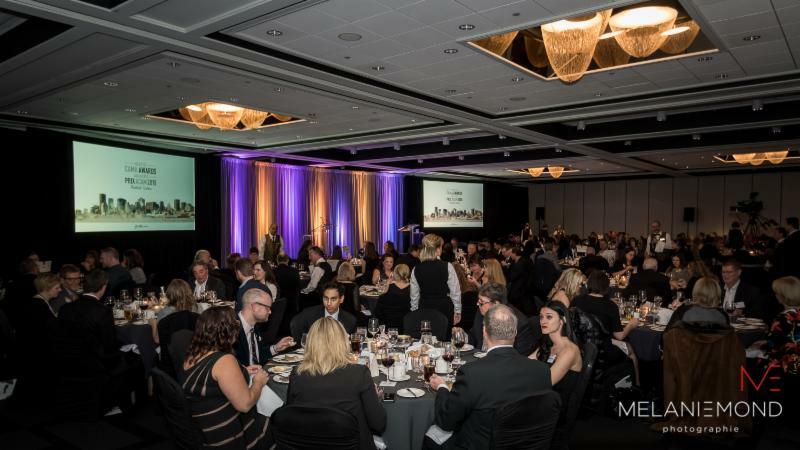 Calling all Best of CAMA 2018 attendees! Please fill out a short survey letting us know how Best of CAMA can be improved! Please click here to fill out the survey. Also, if you have suggestions on how the Best of CAMA judging could be improved, please contact Mary at 519-389-6552 or info@cama.org . 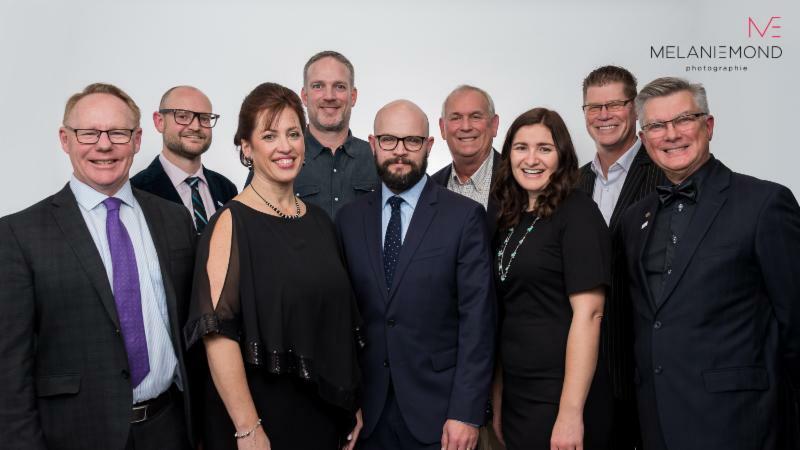 The CABEF board of directors would like to thank CAMA members for their generous support in 2018. Over $36,000 was raised through the live auction and Wall of Wine tickets. Also, over $50,000 has been donated in advertising space by the ag publication to help promote the CABEF scholarships. Click here to view the new CABEF board of directors. There have been many changes made to the CABEF scholarship this year. The scholarships will now be called "Pathways to Agri-Food Scholarships". The CAMA National committee held their annual meeting during Best of CAMA. Justin Funk resigned as Chairperson after 10 years in the position. Robert Mensies takes over the reigns as CAMA National Chairperson. Back Row (L-R): Robert Mensies, Manitoba Chapter President and Incoming CAMA National Chairperson, 6P Marketing; Noel Blix, Alberta Chapter President, McCann; Lynn Henderson, Publisher AgriMarketing Magazine; Brian Klassen, Ontario Chapter Vice-President, Bark Communications. Front Row (L-R): Dean Barton, Saskatchewan Chapter President, Farm Credit Canada; Mary Thornley, CAMA Executive Director, Mary Thornley Management; Justin Funk, Past CAMA National Chairperson, Agri Studies Inc; Teresa Falk, Alberta Chapter Past-President, Nutrien Ag Solutions; Daniel Lamoureux, Quebec Chapter President, La Terre de chez nous. I love the start of a new year! I sense exciting changes and improvements for CAMA this year. We have very dedicated board members for each Chapter and everyone has the same of goal of continuing to ensure CAMA brings value to our membership. Thank you to Justin Funk for his commitment to CAMA as National Chairperson for the past 10 years. It's been a pleasure working with you!